Apart from Gayle and Rahul, only one batsman managed to even cross the total of 150 runs for the entire season last time around. If there were points for winning matches with flair, Kings XI Punjab might have made it to the playoffs of the Indian Premier League in 2018. But instead, they finished in the bottom-half of the table despite winning five of their opening six matches — the next eight matches saw them win just a solitary game. That dreadful run of results saw them finish seventh after looking like the team to beat in the early part of the season. What went wrong? The areas of concern were obvious from the outside. The team was far too dependent of Chris Gayle (368 runs) and KL Rahul (659 runs) to provide them good starts with the bat but there was very little help from elsewhere in the side. Apart from Gayle and Rahul, only one man managed to even cross the total of 150 runs for the entire season: Karun Nair, with 301 run in 11 matches. The bowlers did alright (more than alright in a couple of cases). R Ashwin did not seem to be out of place in his first full season as the captain but yet, 2018 went down as another failure for the team from Punjab who, along with Delhi Daredevils and Royal Challengers Bangalore, continue to search for their first ever title despite being one of the original eight franchises. Arguably, the biggest change for KXIP for the 2019 season is not one on the field, but behind the scenes. Mike Hesson’s appointment as the head coach to replace the Virender Sehwag - Brad Hodge combination could yet prove to be a masterstroke. Hesson, the former New Zealand national team coach, is widely reputed within the game to be one of the shrewdest analytical minds. If anyone knows how to make a team bigger than the sum of its individual parts its the man who made the Black Caps a force to reckon with in international cricket. As far as the on-field personnel are concerned, there are a few changes but none earth-shattering on paper that immediately makes KXIP a better team than last year. 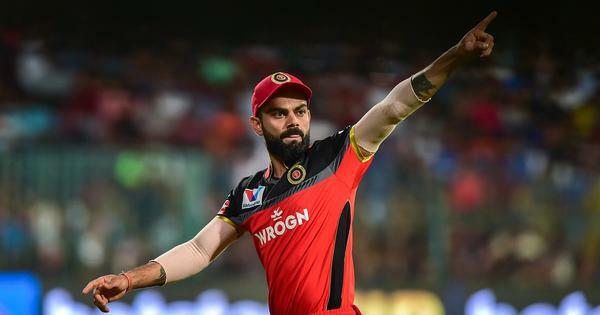 Despite the massive batting problems they faced, none of the new recruits seem to be an immediate improvement and the team will once again be banking on Gayle and Rahul to deliver. Two of the overseas slots in the side will be taken by their two best bowlers in 2018 — Andrew Tye (24 wickets) and Mujeeb-ur-Rehman (14 wickets) and with Gayle, back to his destructive best in recent weeks, will be the third. That leaves just one spot in the middle order open for one of new recruits Nicholas Pooran (wicketkeeper-batsman) and Moises Henriques to take up. Having played all his IPL cricket with KXIP, South Africa’s David Miller played just three matches last year and with Pooran offering relief for Rahul from donning the gloves, the West Indies youngster might just get the nod — his reputation for big-hitting might provide an X-factor to what is otherwise a weak looking batting order. Punjab also went big with their bid on Prabsimran Singh, 18-year-old wicketkeeper batsman but his recent form with the bat has not been good enough for him to force his way into the XI, possibly. It’ll be interesting to see, however, how Punjab use their Rs 4.8 crore investment. As far as the bowling is concerned, the big talking point is the mammoth bid the franchise made for mystery spinner Varun Chakravarthy. The man who is supposed to have enough variations to last an entire over is another addition to an already impressive-looking spin bowling department. Mohammed Shami is another significant new addition to the squad. Many eyes will be on how Hesson uses Shami this season. Indian pacers were selling like hotcakes in the mini-auction for this edition and Shami went for big bucks from Delhi to Punjab. At that time, however, Rs 4.4 crore seemed a bit over the top for a bowler who has never really clicked in the IPL and suffered in the last edition due to off-field and fitness issues. But now, it seems like a bargain deal, as Shami has roared back into form in white-ball cricket, making him a near certainty in India’s World Cup squad. Along with Kohli, Shami has featured in most number of matches for India since the Australia tour across formats and there has been a constant talk of maintaining his workload — Hesson must be tired of answering that particular question since his time as a pundit during India’s tour of New Zealand. With only Ankit Rajpoot in their ranks as far as Indian quicks are concerned, Shami (if he continues his form) might be all too crucial for Punjab and it will be interesting to see how he comes through this season. Apart from Shami, Rahul is the other obvious candidate to keep an eye on. After a torrid tour of Australia, he found form once again in the T20Is against Aaron Finch and Co in the home series, batting with the freedom at the top of the order that made the world sit up and take notice during last IPL. If he can replicate anything close to that, the Indian think-tank would be delighted. As far as the captain is concerned, he has been bullish in recent times regarding his white-ball record but all that might not be enough for Ashwin to return to the World Cup squad as things stand. You can be certain about one thing though — he is not the kind of player who would resign himself to fate. Make no mistake, as improbable as it seems now, Ashwin will want to give it a good go with his performances especially in the early days of IPL, when the selectors might still be watching.